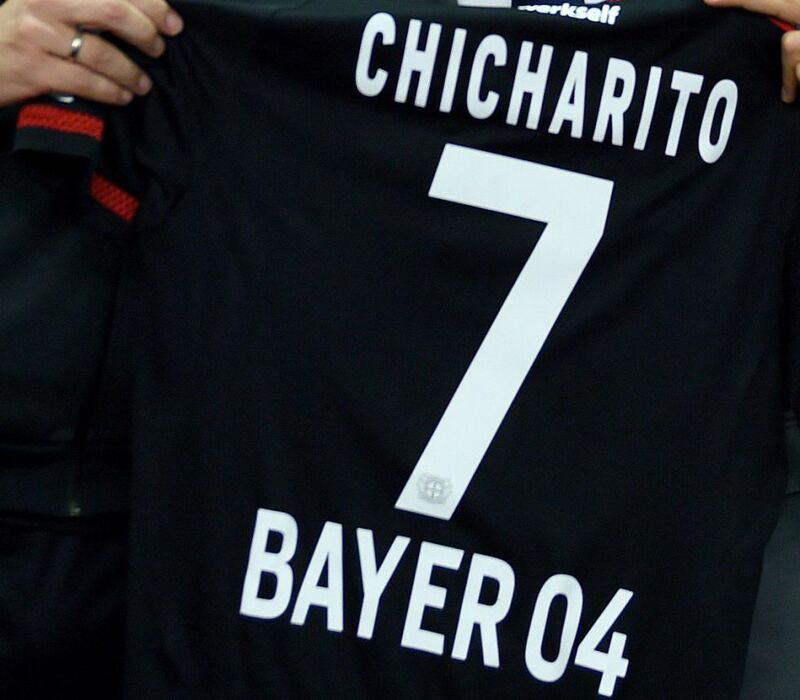 One question I get asked more than others is “where can I buy X Player’s jersey?” and since Chicharito is Mexico’s most popular player, his name comes up a lot. 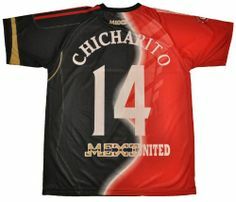 You would think buying a Chicharito jersey would be very easy but you have to be careful about where you buy one from. 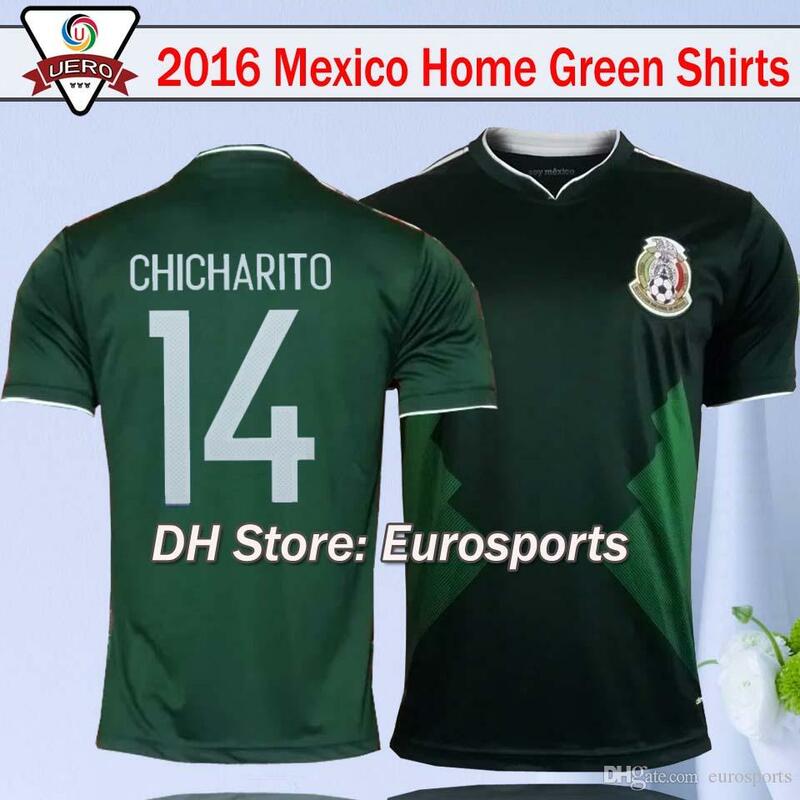 Unfortunately, there are plenty of shady stores that will not hesitate to sell you a fake Chicharito kit or a regular kit with a crappy unofficial nameset. The fakes range from his club kits to his national team kits. They are everywhere, some better than others. And don’t get me started on the classic half & half kits you see vendors hawking in the parking lots before games. The fake kits are understandable as he has played for 2 of the most popular clubs in the world (Real Madrid/Manchester United) and the biggest club in Mexico (Chivas). He is an in demand player and his kits sell. I would know, I was there when fans kept crashing the Bayer Leverkusen store the day his kit went on sale. 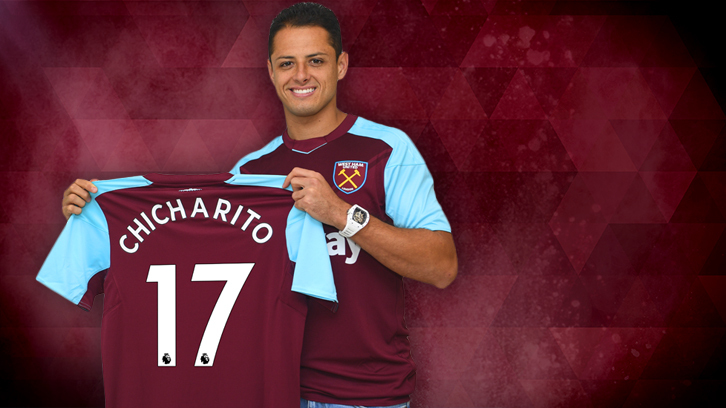 But that was his last team, he is now on West Ham and this bodes well for kit nerds. The EPL has a standard font and number style all 20 teams use. This makes it easier to get namesets later on in case you buy a blank kit and decide to add a name. You could even just buy letters and try to create a custom one yourself. 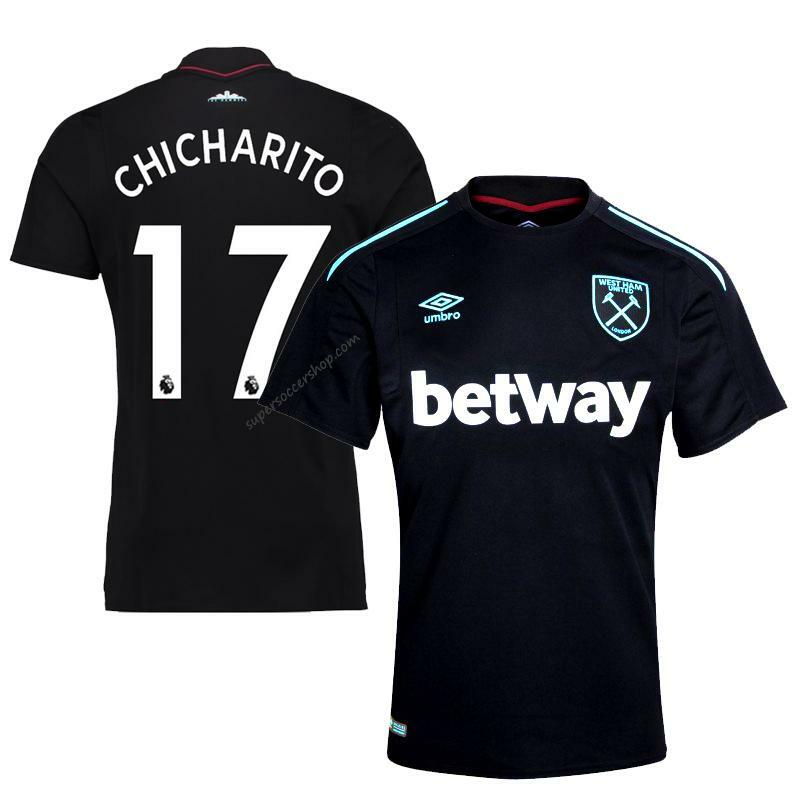 Luckily, West Ham made Chicharito a featured part of their advertising and there are plenty of his kits to buy. Let’s see which online stores are good places to buy from. Subside Sports also has it available for purchase through Amazon if you prefer to buy on there. However, you lose the ability to add a patch before buying. -World Soccer Shop has it as well but it costs about $134 with shipping and no badge options. Also, WSS is out of stock for certain sizes with no date of when they will get more. 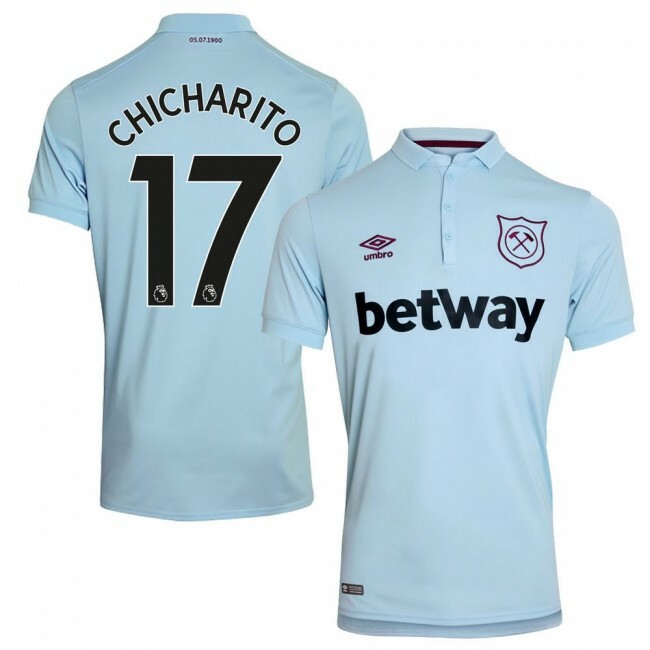 -Upper90 will let you add Chicharito and #17 to a West Ham kit for $120 plus EPL badge options. They include free shipping or if you live in NYC, you can go to a store to pick up your kit. -SportsDirect has it for $79.50 w/nameset plus $9 for badges and $7 for shipping. This is a sale price until 9/14/2017. Subside Sports does not have this on their Amazon page for sale. 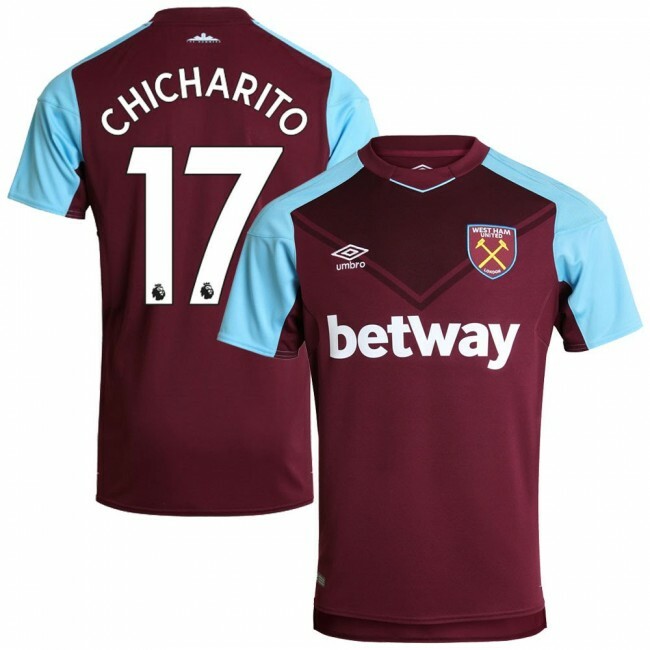 At the Official West Ham store for about $93 for the kit and nameset with the EPL badges as an option for ($6.64). The prices are the same for the home and 3rd kit as well in the team store. Have you seen it anywhere else for a good price? Let me know.